Mumbai: The remarkable true story of an Indian man who spent 22 years chiselling a massive gap in a mountain out of love for his dead wife hits cinema screens on Friday. Dashrath Manjhi, an impoverished labourer from India’s lowest caste, embarked on the monumental endeavour after his wife died in 1959 after an accident, because she had not been able to receive urgent medical care in time. 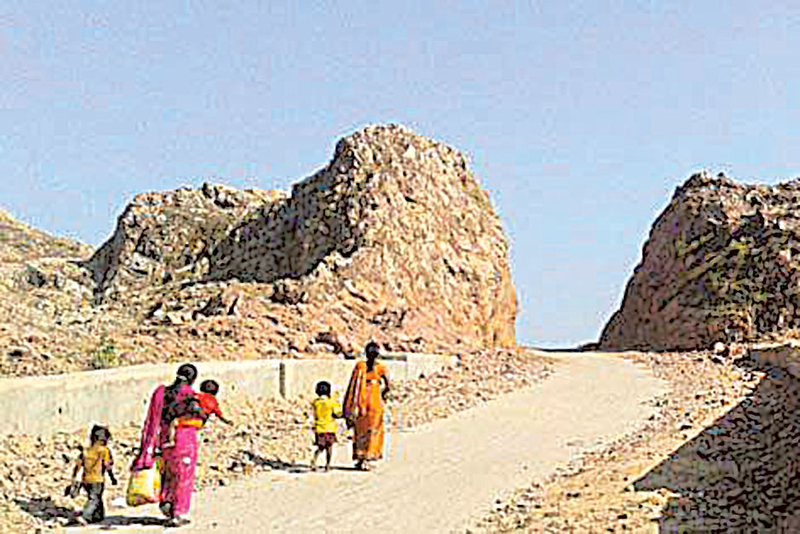 Getting to the nearest town involved going around the mountain, a 55-kilometre (34-mile) journey, and Manjhi didn’t want other villagers to suffer the same fate. Working day and night he chipped away at the mountain in Gehlour, in eastern Bihar state, using just a hammer and a chisel, to reduce the distance to 15 kilometres by cutting a direct path through rocks. It took him until 1982 to create the path, which is around 110 metres (360 feet) long and in some places more than nine metres wide. “The story is beautiful and compelling. He made the impossible possible and his work has helped thousands,” said Bollywood star Nawazuddin Siddiqui, who plays the lead role in “Manjhi — The Mountain Man”. “The most difficult aspect was to capture the madness. His work is extraordinary. He should be an inspiration and an icon for the youth,” Siddiqui told AFP. 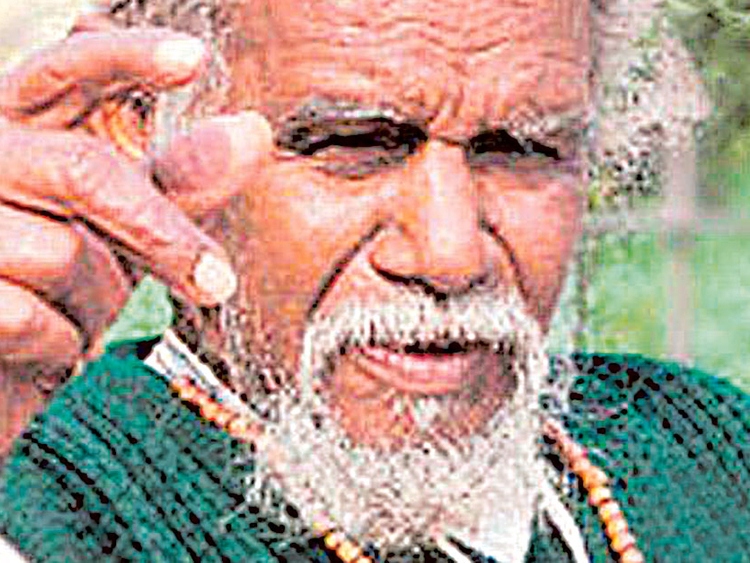 Manjhi died from cancer of the gall bladder in 2007, aged 73, and was recognised with a state funeral in Bihar. He has been quoted as saying that when he first started breaking the mountain, locals thought he was crazy but later they changed their minds. Even after Manjhi had finished, it took the local government another three decades to convert it into a tarred road. Bollywood filmmaker Ketan Mehta said his response was one of disbelief when he first heard the story and he just knew he had to make a movie about it. “People called him mad but how did he achieve it single-handedly? I went there and saw the mountain and the path he had carved. It was inspiring,” Mehta told AFP. Siddiqui, whose film credits include “The Lunchbox”, plays Manjhi from a young man right through to his later years. Indian actress Radhika Apte plays Manjhi’s wife. “Manjhi — The Mountain Man is a film about the human spirit and a monument to love. Unfortunately too often we realise the value of a person only after they die,” the director added. Raising funds for the production, convincing people to support the film and shooting in remote parts of India were some of the challenges Mehta faced, he said. The film has also faced controversy. In 2013, filmmaker Dhananjay Kapoor blocked its release, claiming that he had the rights to Manjhi’s story. However, the court dismissed the petition and ruled in favour of Mehta. Manjhi’s fame and the subsequent attention has also left members of his family disgruntled, according to a report in the Times of India newspaper, which quoted a relative complaining that many VIPs had visited their home but had broken promises to help them out of poverty. Mehta pieced his script together based on meetings with villagers and local journalists, and newspaper articles. But the director was forced to be imaginative when it came to the details of Manjhi’s relationship with his wife. “The facts are facts but little is known of the love story, which is where we have filled in the blanks,” he said.